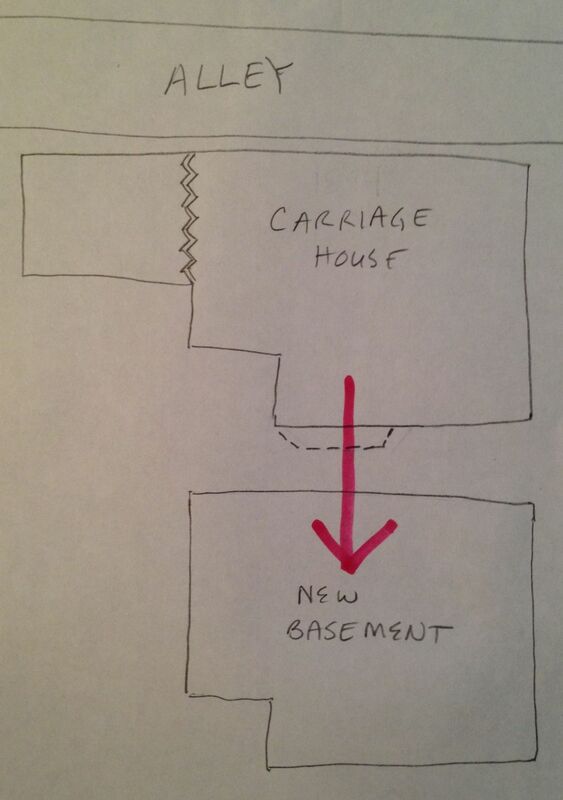 I did a previous post on the curious history of the carriage house adjacent to the Cross House. Today, I would like to present my highly sophisticated drawings using the latest in high-def 4-D imaging technology. Prepare to be AGOG!!!!!!!!!!!!!!!! 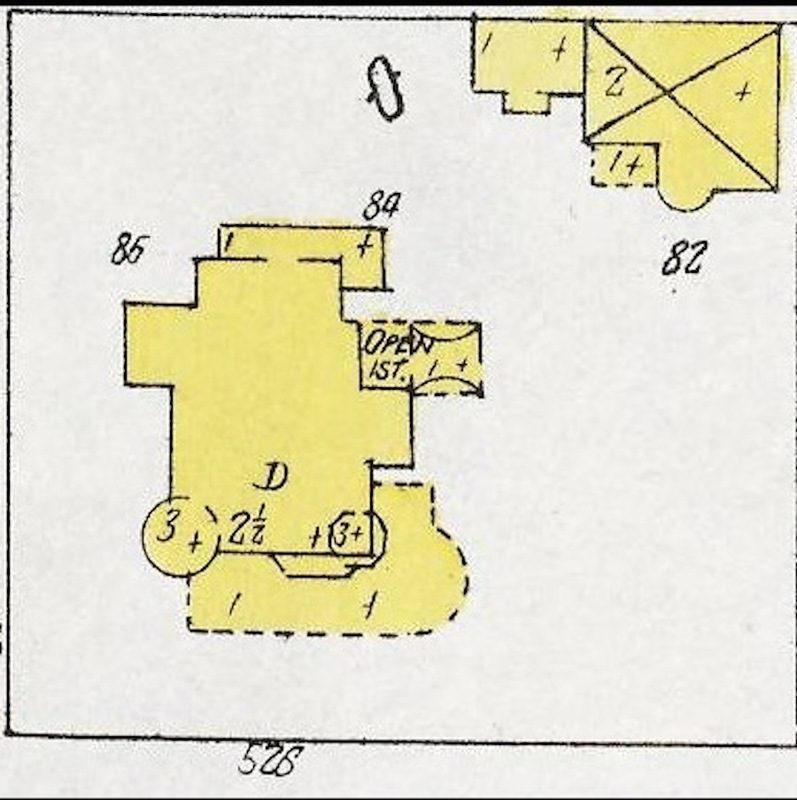 This is a 1905 Sanborn map, showing the 1894 Cross House to the left (north) and its carriage house to the right (south). The carriage house has a one-story wing to the left, and the main block is two-stories. The dotted lines in one corner represent a porch. The curved bay was actually an angled bay on the second floor. 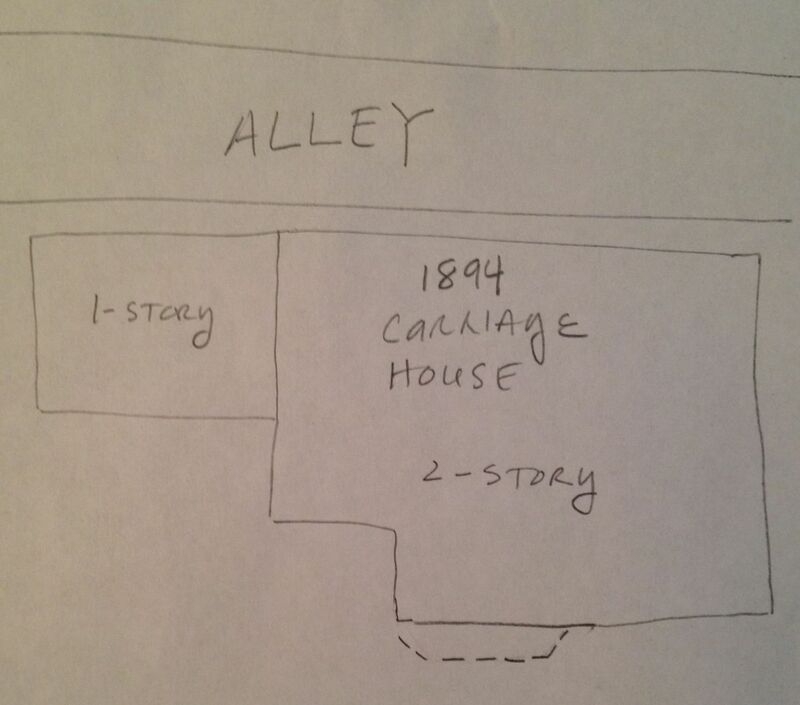 The 1894 carriage house was RIGHT against the alley. It sat on the ground (no basement or crawl space). There was a 1-story north wing which likely had a dirt floor, and was likely the barn for the horses. There was also a 2-story section, which likely housed the carriage(s), a workroom, and general storage. This may have had a wood floor. Or maybe dirt, too. The dotted lines at the bottom of the image represent the overhanging bay on the second floor. In 1921, a basement was built right in front of the 2-story section, which was separated from the 1-story north wing, and then lifted up and moved onto the basement. Then the basement was extended to the east, the north wing was turned 90-degrees, and placed atop the basement extension. 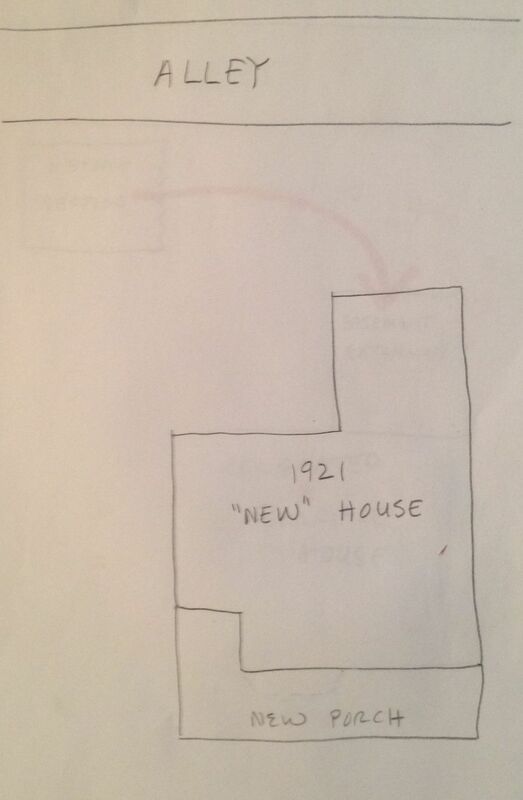 When the work was completed, a “new” house was the result. The first-floor interior was finished in the fashionable mission-style, while the second-floor interior remained kinda the same, except that the wood ceilings and walls were replaced with proper plaster on lath. A massive L-shaped porch was added to the front (facing west). The original architect, Charles Squires, may well have done the conversion (he lived a block away). UPDATE: In a much later post, I detail numerous new discoveries about the carriage house, negating some of what has been written above. Love the drawings!!! 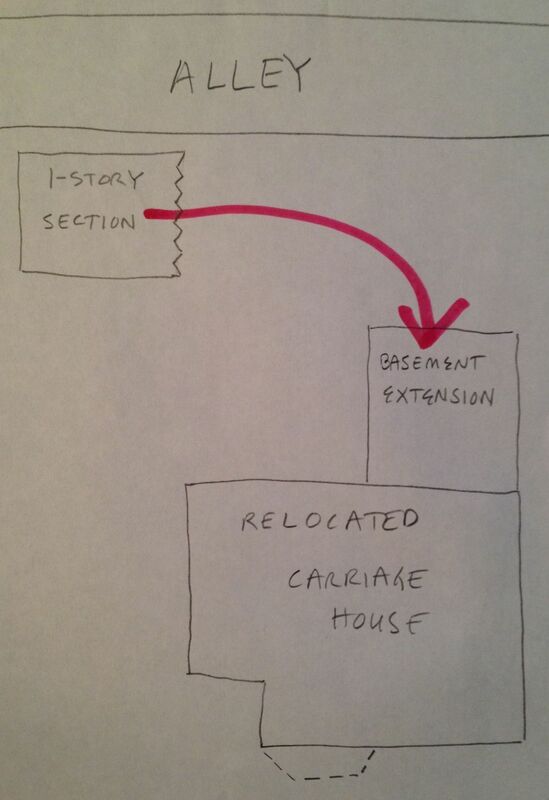 and the explanation of the events that brought the carriage house to its current location is fascinating. I would have never thought it had not always been where it is. It was a lot of fun figuring it all out!